I moved to Corpus Christi in 2009 to study Environmental Science at Texas A&M University-Corpus Christi. 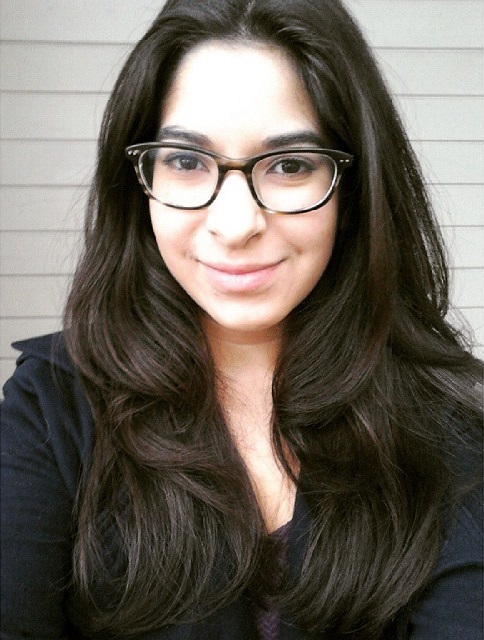 Moving from El Paso, I didn’t know much about the South Texas town other than its proximity to beaches and the pervasiveness of the oil and gas industry. I had some hope to learn firsthand about the environmental issues associated with heavy industry, but never expected it to influence to trajectory of my career. 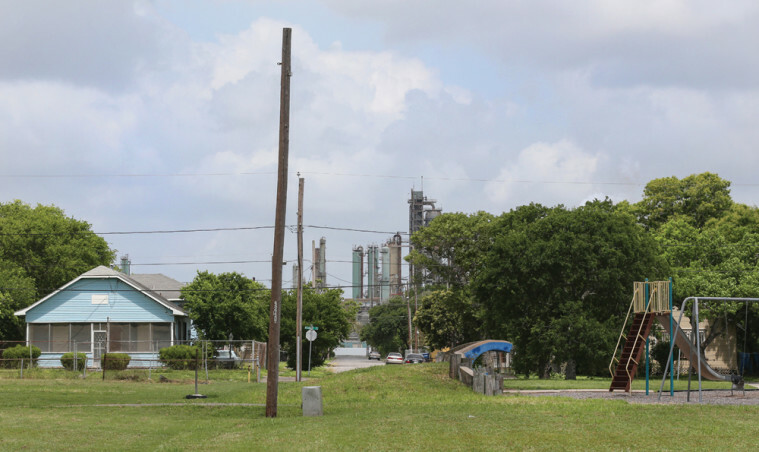 Hillcrest residents live next door to one of the highest concentration of refineries in the nation. Photo by Rachel Denny Clow via Texas Observer. In 2012, a friend invited me to a Texas Commission on Environmental Quality (TCEQ) meeting on the north side of town. TCEQ was in town to investigate whether a benzene groundwater plume under a massive concentration of refineries was migrating underneath Hillcrest, a neighborhood adjacent to the refineries. Texas A&M performed a pilot study in the neighborhood years before, finding benzene in blood samples from Hillcrest residents. Residents were frightened, angry and in need of answers from industry and government. I started to understand the disturbing realities of living next to industrial sites. When I moved on to pursue a Master’s in Urban Planning at the University of Texas, I found ways to apply what I was learning to issues facing Hillcrest and other neighborhoods on Corpus Christi’s Northside. While Hillcrest residents lost a battle for restitution when Flint Hills Resources was found in violation of the Clean Air Act, I considered conflict resolution strategies that could have been used to avoid litigation and obtain a better outcome for the neighborhood. During an economic development course, I recommended strategies for the City of Corpus Christi to reduce its dependency on the oil and gas industry while making the relocation and revitalization of Northside communities a priority. That’s why my new position as Community Planner here at TxLIHIS is so exciting. I have the opportunity to help Hillcrest, a community I have studied for years, during the best opportunity yet to improve its residents’ conditions. An estimated 47,000 vehicles per day use the existing Harbor Bridge. Photo by Corpus Christi Caller Times. 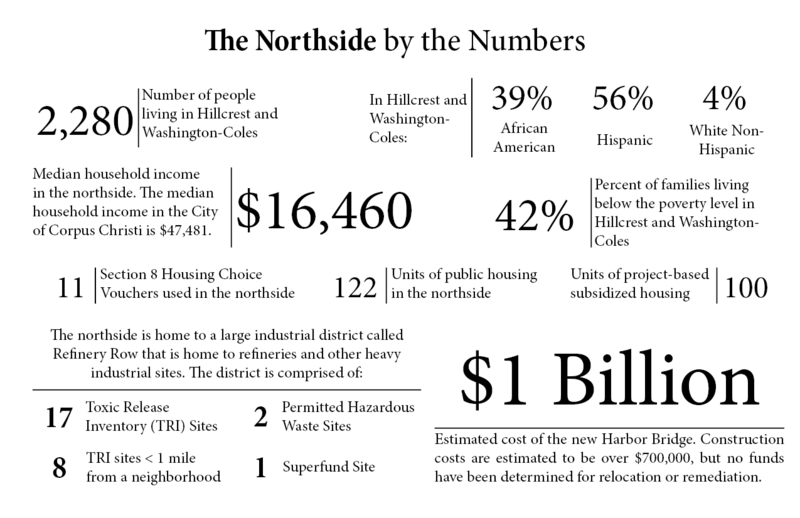 Hillcrest and its neighboring community, Washington-Coles, are at a critical crossroads in their history. 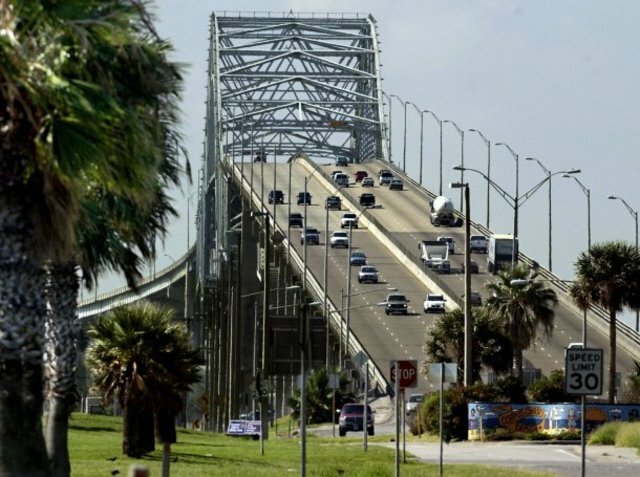 The Texas Department of Transportation and the City of Corpus Christi have approved a new alignment of the existing Harbor Bridge that will create a towering six-lane highway through the heart of Washington-Coles. 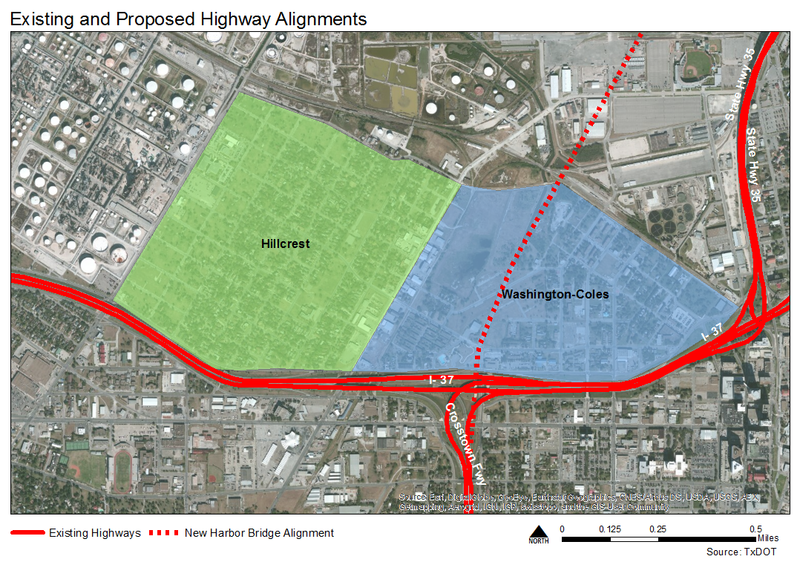 If the bridge is built, Hillcrest will be completely isolated from the rest of the City, surrounded on two sides by busy highways and on the other two sides by heavy industrial activity and the Port of Corpus Christi. Hillcrest and Washington-Coles have a deep history of segregation, isolation and decline. Washington-Coles was the first neighborhood designated for African-Americans during Jim Crow segregation. Hillcrest was originally established as an exclusive community for a country club that no longer exists, but the neighborhood was opened to African-Americans in the 1940s. As a result, Hillcrest quickly turned to a majority-minority community. 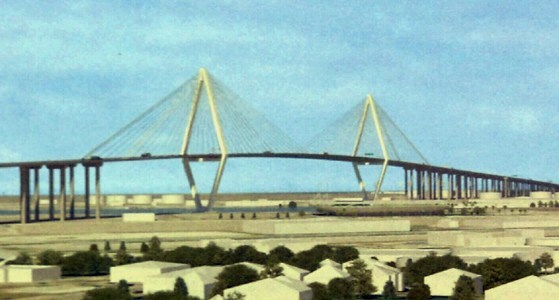 Rendering showing the proposed 205-foot tall bridge. Like other African-American communities in the United States, the Northside had to be largely self-sufficient due to its isolation and lack of public services. When integration occurred, new housing markets opened to minorities. Many of those who had the means to leave the Northside did so, leaving behind those in poverty and with fixed incomes. When the state and federal highway administrations proposed the Interstate 37 freeway alignment in the 1950s, they chose a route that wrapped around Hillcrest and Washington-Coles, further isolating the residents from the rest of the city and leaving them on the north side of the freeway with only heavy industrial sites and a wastewater treatment plant for neighbors. Northside residents have fought back against these and other cases of inequality for decades, but they have one more battle to fight. I truly believe Corpus Christi is capable of being considered one of the best cities in Texas and the Gulf Coast, not only as a vibrant tourist destination, but also as a healthy, safe and functional place to live. It is a feeling shared by residents and visitors to Corpus alike, but it is clear that the City fails to capitalize on its potential. Part of realizing that potential is a relocation and remediation strategy for Hillcrest and Washington-Coles, two of the city’s oldest neighborhoods hit hardest by the City and industries’ negative externalities. I look forward to helping the community consider options for relocation and pushing the City to do what is right for its historic communities. As I recommended in my Masters Report, I hope for an opportunity to help residents find a solution that allows them to retain their strong community and sense of home even in the face of environmental injustice. This entry was posted in Local issues, State issues and tagged Corpus Christi, Environmental justice, Fair housing, Hillcrest, racial segregation, segregation. Bookmark the permalink. Wow, so many fingers could be pointed here. In my opinion, if we don’t get God back in our homes, and on the minds of our young people. We may as well just keep pointing fingers, and throwing blame around. (How’s that been working out?) These people, those people, them people, unless we the people can come together as God fearing people! And HE be the judg. As fo me I will show up do my part wherever I may be need, as Christ leads me to do. I will alway show nothing but love and composition for all people! Well that’s my two cents, and remember never look down on someone Unless you are reaching down tho help them up. Amen!